Baby quilts and baby memory quilts make perfect gifts, whether for your own little one or for a friend. See a fun new way to reuse outgrown baby socks by making a baby sock quilt- Ashley Hough shows you how. When it comes to making a baby sock quilt, you can use as few or as many socks as you want. 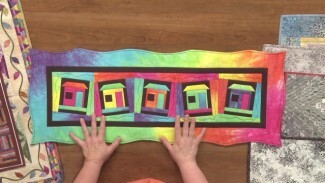 One pair of socks, or even one sock, can be used to make a baby memory quilt while several pairs of socks can be used to make a larger quilt. Ashley shows how to begin making a baby sock quilt by folding and pressing the sock to ensure that it is folded in half equally. Next, Ashley shows how to cut the socks apart so that both sides of the sock can be used. This helps to reduce the amount of bulk added to the quilt by the sock as well as doubles the number of socks you can add to the quilt. 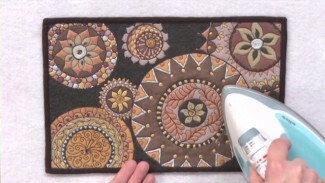 Ashley then shows how to add fusible interfacing to the wrong side of the sock. This is done to help stabilize the sock so that it is easier to stitch onto other fabric as well as helps the sock hold its shape. Once the sock has been cut apart and fused to the interfacing it is ready to be incorporated into a baby sock quilt. After the socks have been prepared, Ashley shows how to attach the sock to quilting cotton so that it can be added to the quilt. She explains how to attach the socks using a blanket stitch or other applique stitch and then how to piece all of the baby sock blocks together. 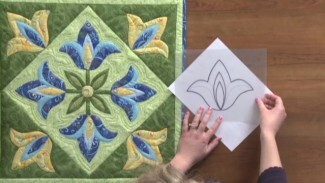 Ashley also explains several ways this newborn baby quilt can be quilted. This includes ways to quilt around the socks on the background fabric only as well as how to quilt on top of the socks to accent design features on the sock. 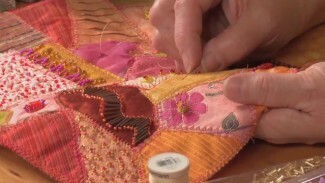 Heather Thomas adds some tiny pieces of hot fixed metal to an already amazing quilt to make it sparkle. 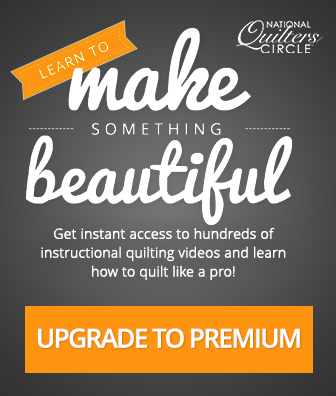 Learn how to enhance your quilt with some jewelry too. Once you find the metal in the shape you desire Heather will help you place them and iron them on.